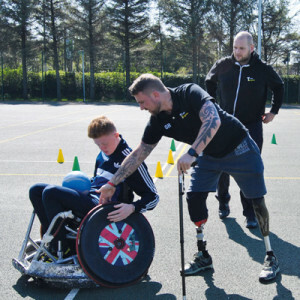 An RAF regimental gunner returned to his old college to inspire current students with the story of how he overcome life-changing injuries he suffered during an attack in Afghanistan. Cpl Stuart Robinson was manning the machine gun on a jackal armoured vehicle when an IED exploded directly under him in February 2013. 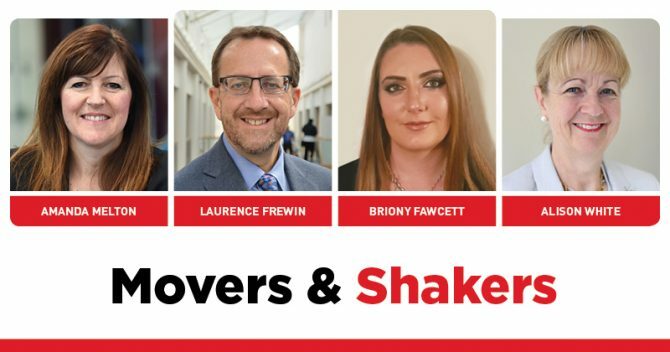 He lost both lower parts of his legs, and suffered 18 spinal fractures, a shattered pelvis, a burst bladder, plus fractures to his arm, jaw, shoulder blade and ribs. 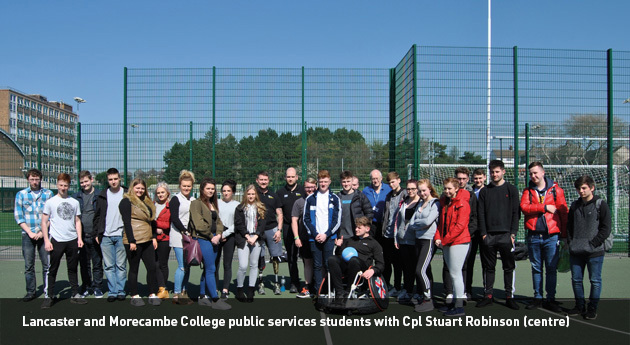 Cpl Robinson told public services students from Lancaster and Morecambe College about life in the RAF regiment after completing his public services course, his life after sustaining major injuries while on duty, and the creation of Team Legless, a group which aims to help raise both awareness and funds for the armed forces charities.